LOS ANGELES – Nov. 2, 2018 – Scopely, an interactive entertainment company and mobile games publisher, and CBS Interactive, today announced the development of Star Trek Fleet Command, a new multiplayer real-time strategy and role-play game that brings an entire galaxy of characters and ships to life for the ultimate Star Trek gaming experience. Based on the 2009, 2013 and 2016 cinematic Star Trek universe, the upcoming game is now available for pre-registration on Google Play and will be available worldwide as a free download on the App Store and Google Play Thursday, November 29th. 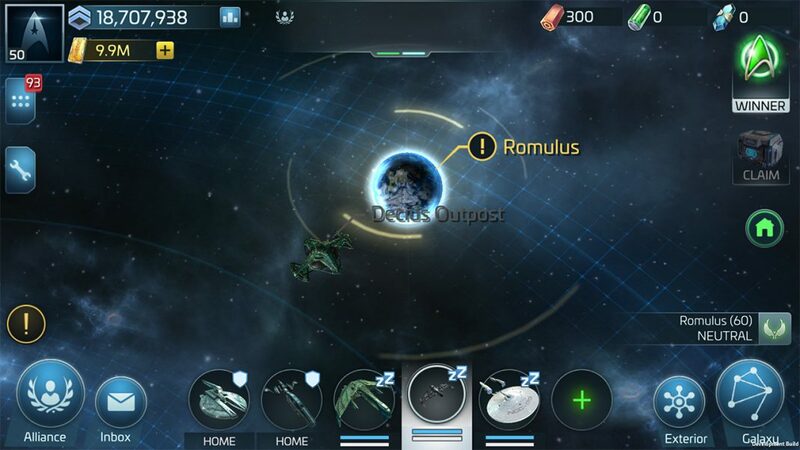 Star Trek Fleet Command is the first free-roaming multiplayer Star Trek experience to combine role-playing game style progression and real-time battles with enemy ships—all on mobile devices. A fast-paced strategy experience, the game brings players unparalleled access to the Star Trek universe along with an epic narrative that unfolds as they travel to the furthest corners of the galaxy. Star Trek Fleet Command is the latest in Scopely’s line of mobile games based on renowned entertainment properties such as the award-winning WWE Champions, The Walking Dead: Road to Survival™, YAHTZEE® With Buddies, Wheel of Fortune®: Free Play and the upcoming Looney Tunes: World of Mayhem. Published by Scopely, Star Trek Fleet Command is created and developed in partnership with DIGIT Game Studios.